She gave birth just three weeks ago. 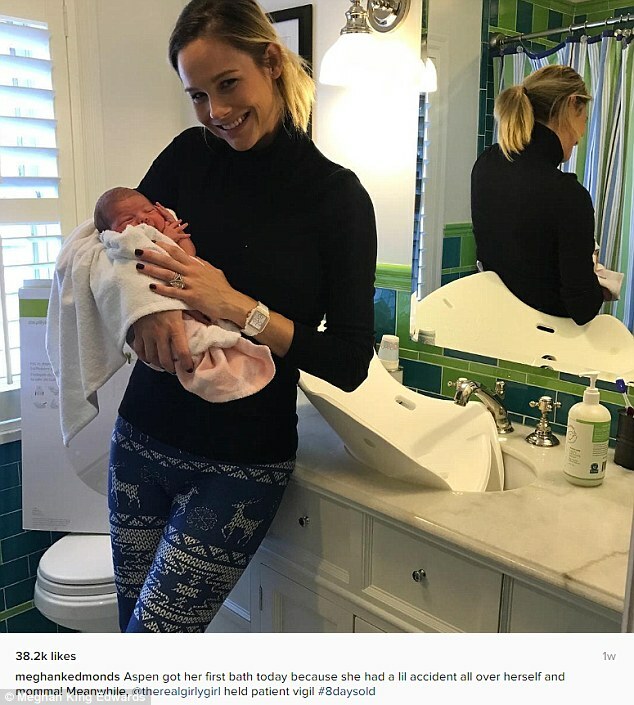 But Meghan King Edmonds looked to have already snapped back to her pre-baby figure as she enjoyed an outing on Saturday night. 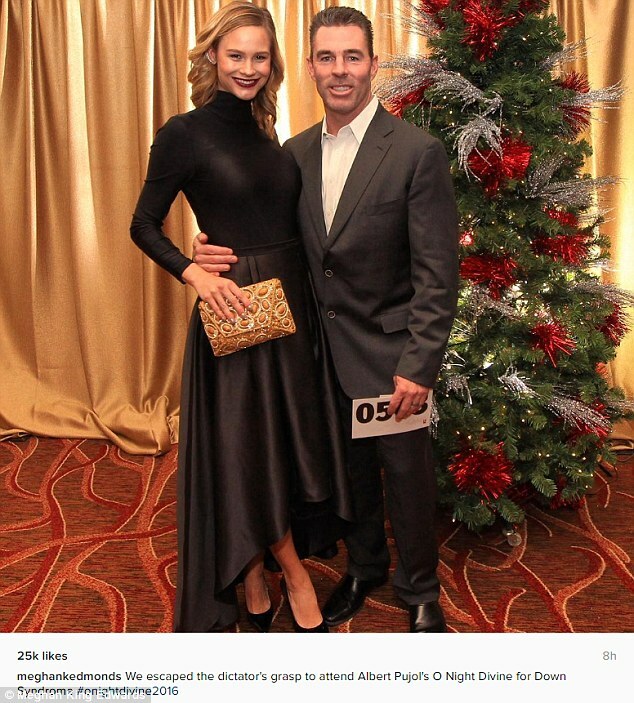 The 32-year-old and former baseball player Jim Edmonds attended the O' Night Divine Christmas event the Pujols Family Foundation threw in St Louis. 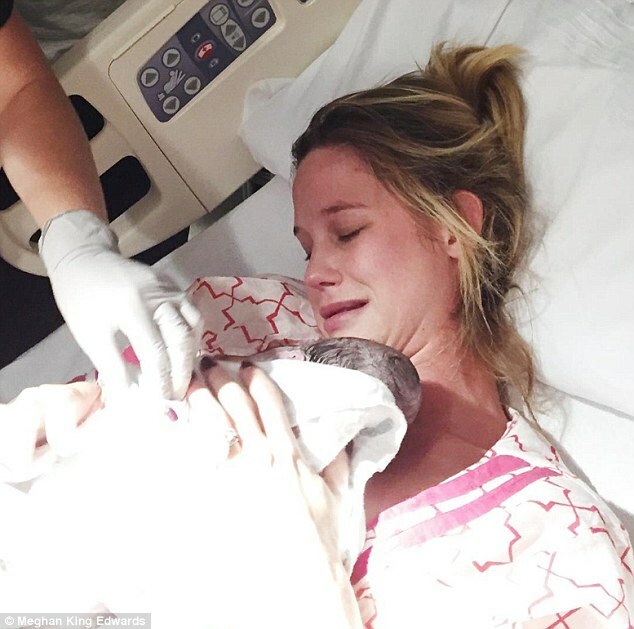 On Sunday, she posted an Instagram photo taken at the event, where she'd worn a black outfit that draped about her impressively trim post-baby body. Her turtlenecked solid black top tightened about her enviably svelte torso and was tucked into a gleaming pleated black dress. Its hem curved up at the front, allowing for a full view of her black stilettos, and she'd let her wavy blonde hair fall free. The St Louis native accessorised with a clutch that featured gleaming metallic ovals strewn over a pale gold field. Her husband, who'd got on a baggy pewter grey suit over his white dress shirt, put an arm about her as they posed for the photo beside a glittering Christmas tree. 'We escaped the dictator's grasp,' the caption quipped, 'to attend Albert Pujol's O Night Divine for Down Syndrome #onightdivine2016'. 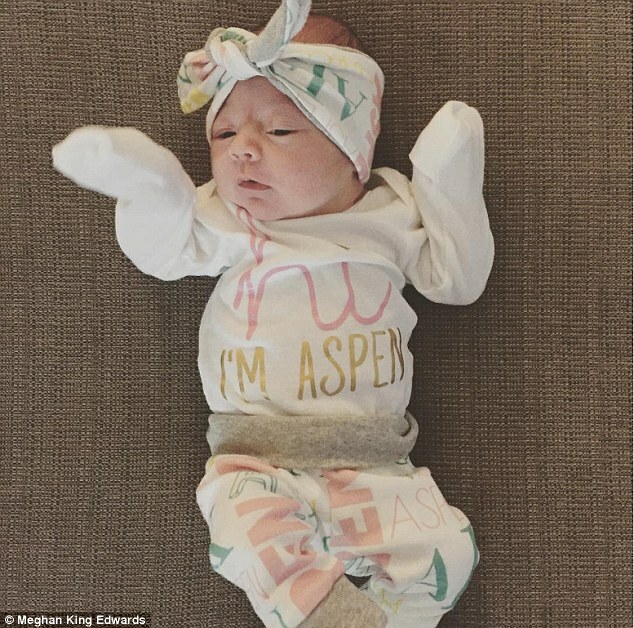 Little Aspen, the daughter the Real Housewife Of Orange County delivered on Thanksgiving, is her first biological child. Though she's stepmother to the 46-year-old's four children - two from each of his previous two marriages - she turned to in vitro fertilisation and gave him a fifth. Social media posts since the birth have shown just how quickly she's shed the weight after giving birth. The sister of Julie King was wearing yet another figure-hugging turtleneck that accentuated her slender physique.